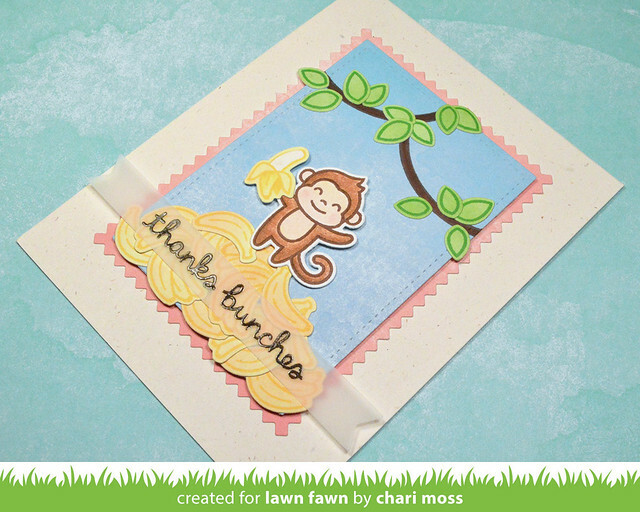 Today I have a card using the new exclusive Love 'Ya Bunches stamp set. 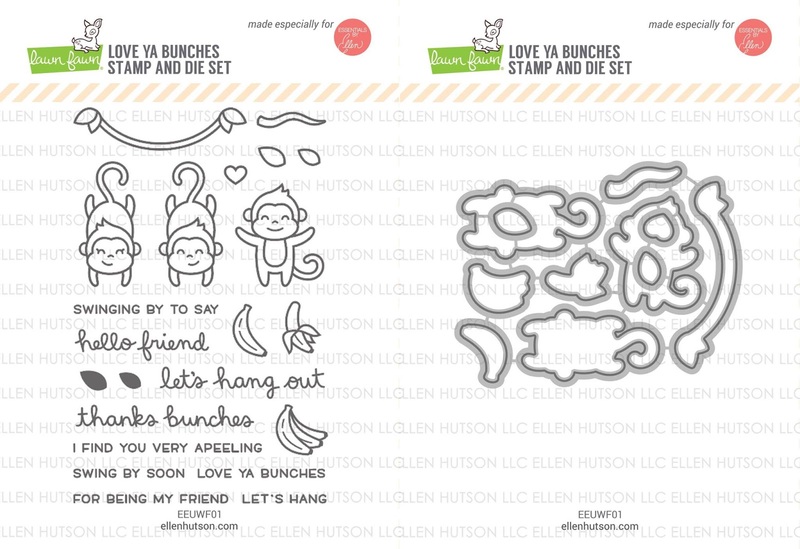 This set was designed by Lawn Fawn exclusively for Ellen Hutson LLC and it is just too cute! 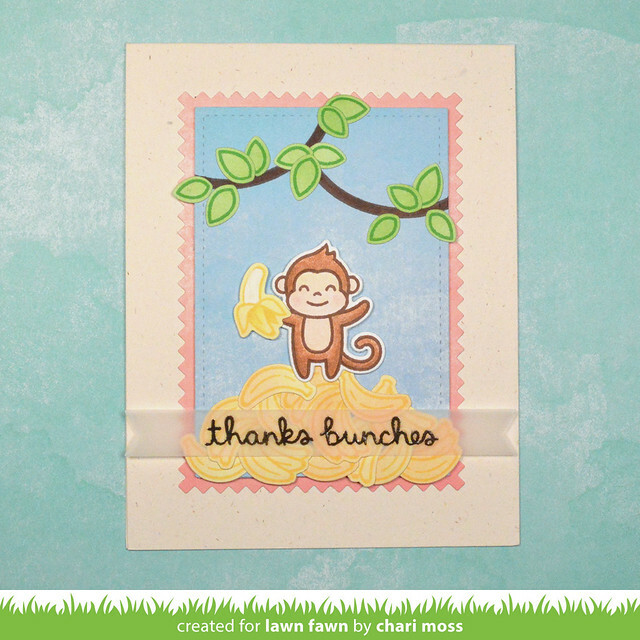 I paired this cut set up with some Watercolor wishes paper to create a big pile of bananas for my cute little monkey to stand on. My monkey is colored with colored pencils and blended with gamsol. I didn't want to cover up the banana pile with my sentiment so I decided to put my sentiment on a vellum banner. Pick up this cute set of stamps and matching dies while supplies last! Here is a look at the full set and you can find it HERE. Such a cute card! I love the pile of bananas! This one design is lovely and creative as well as inspiring. Thanks for sharing.